We bring back Zach Smolinski and Christian Auty for Episode 19. Like last time, they discuss blockchain technology and its impact on the practice of law. Zach is with Smolinski Rosario Law and Christian with the Much firm. Both counsel clients on blockchain related matters. It was 2017 the last time the guys were on the show, so we talk about what’s changed in the blockchain world since then. Both Zach and Christian agree that regulators have stepped up enforcement and investigations into cryptocurrency transactions like ICOs (initial coin offerings) and the general public may be less enthralled about the technology. However, both are still big supporters and excited to see people getting serious about building sustainable blockchain businesses. Zach is a co-founder of BUZZ, a monthly event working to grow Chicago’s blockchain community, and Christian authors the Distributed Counsel blog. A blog based on an attorney’s Perspective on cryptocurrency, data privacy and blockchain. In this episode’s legal tech founder segment, we talk to Basha Rubin and Mirra Levitt the founders of Priori Legal. The company makes it easy for companies to find, hire and manage outside counsel without the costly infrastructure of a firm. To use the platform, clients submit an RFP and Priori leverages its extensive attorney network and data to compile a customized list of lawyer matches. You can learn more about Basha, Mirra and Priori here. In Episode 2 we discuss blockchain technology and its impact on the practice of law with two Chicago lawyers Zach Smolinski and Christian Auty. Zach is with Ziliak Law and Christian with the Much Shelist firm. Both counsel clients on blockchain related matters. In this episode Zach and Christian discuss what blockchain technology is, how they became interested in it, and the impact it will have on the practice of law. Zach is involved in Fin Tank a group working to grow Chicago’s blockchain community, and Christian authors the Distributed Counsel blog. A blog based on an attorney’s Perspective on cryptocurrency, data privacy and blockchain. Chad Main: In this episode we’re talking about the blockchain. Next to artificial intelligence, there’s probably no other more hyped piece of technology that people believe will fundamentally change the practice of law. Chad Main: What exactly is blockchain? I can’t tell you, so I brought in a couple of attorneys who could. In this episode, we’ll talk about what blockchain is. We’ll talk a little bit about its history, and whether it really will change the way lawyers practice law. Chad Main: But first, what’s any good conversation with lawyers without a disclaimer? Christian Auty: We are not your lawyer is our disclaimer I guess. Right Zach? Zach Smolinski: Yeah, that’s right Chad. We’re not your lawyer, and now so, I think, we probably want to say anything that we discuss related to cryptocurrency investments, A) should be ignored, and then B) if not ignored, should not be regarded as investment advice. Christian Auty: Yeah, and if you’re taking investment advice from us, you need your head checked anyway. Chad Main: That’s Zach Smolinski and Christian Auty. 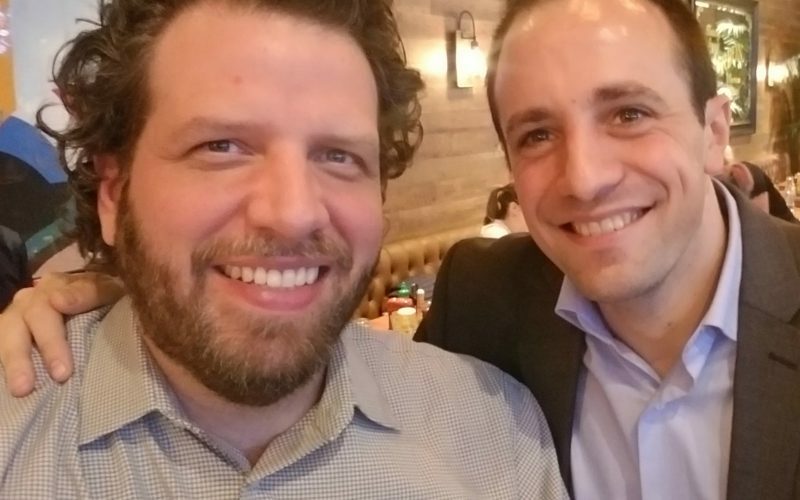 Two Chicago attorneys who love their blockchain. 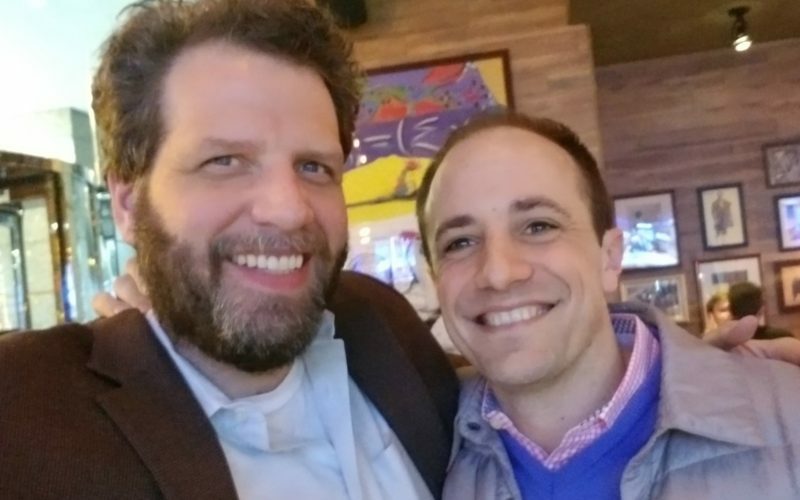 I’ll let them tell you a little more about themselves and how they got into blockchain, but Zach’s with Ziliak Law and Christian with Much Shelist, both Chicago law firms. Zach Smolinski: I’m primarily an intellectual property attorney. I’ve been practicing law for 18 years. My main model of working is to serve as my client’s general counsel handling essentially their entire legal function, and because of my IP background my focus is on tech firms. As you said, I have a collaboration with Ziliak Law here in Chicago. I’m working with cryptocurrency and blockchain related clients. Christian Auty: My name’s Christian Auty. I am a partner in the law firm of Much Shelist. I work primarily in data privacy and security and I am increasingly advising clients in the areas of blockchain and cryptocurrencies. Zach Smolinski: I got into blockchain because I read about technology nonstop, and I got to the point where I just couldn’t open up my favorite websites without someone talking about Bitcoin, and at first I was like, “Come on.” I just didn’t want to read about this stuff. It didn’t appeal to me all that much. After five years of ignoring it, it got to the point where it was just too much in my face, so I was like, “All right fine, I’ve got to learn what this stuff is all about.” So I started going back and looking at some of the underlying concepts behind it. Zach Smolinski: I have what I call the five video rule, which is if I go on YouTube and watch five videos I consider myself an expert, and I would recommend that to the listeners as well, if you’re wanting to get up to speed on this stuff, because there’s some really good explainer videos out there. Christian Auty: I had the same experience as Zach. I came across the concept practicing law in the context of data privacy and security. I was doing data breach remediation for some clients and I started wondering how these hackers got paid, and turned out that it was Bitcoin, then I went from there. I had the same experience I think that Zach had, which is once you wrap your head around it a little bit … and this was back in 2012 and 2013 and God, I wish I bought some, but once you wrap your head around it, you think, “Wow, it really can change a lot of industries.” And it’s incredibly exciting. It’s brand new and it’s something that’s just starting. It’s like the internet in 95 to use a cliché. Chad Main: Okay, so blockchain is disruptive. It’s a game changer, but what is it exactly? As Christian explains, it boils down to a ledger of transactions spread across a network of different computers. Think of an old school bankers book with a ledger of transactions only the book’s not a book anymore, it’s electronic, and the bank doesn’t control the book anymore. Christian Auty: Blockchain is a distributed ledger. In the case of Bitcoin it is a distributed ledger of transactions and distributed in this case means that more than one network participant, or more than one computer, or more than one node in the terminology sees the exact same ledger. That’s essentially what it is. Christian Auty: To just give you a basic example. Let’s say that I am going to send $100 to Bob, and I write an email. There’s a ledger showing that I have maybe $1,000 in the bank, and that ledger is shared with two other people. I write an email to these two other people, or reply to all email and I say, “I’m going to send $100 to Bob.” These two other people say, “Okay, well let’s check to make sure that you have that $100.” They then race to check the ledger to make sure that I have that $100. The winner confirms that I do, and they publish the transaction. The $100 goes to Bob. I have $900 left, and there is a new ledger. That is essentially what a blockchain is. Chad Main: When you say ledger [what’s] a real world analog? Chad Main: Okay, some distinctions and definitions might be helpful here. We just heard Christian describe blockchain technology, but the terms Bitcoin or cryptocurrency, those might sound more familiar, so what’s the difference? Chad Main: Cryptocurrencies are digital currencies that use blockchain as their underlying technology. The blockchain keeps track of the transactions between people when they transfer Bitcoins or whatever the currency is back and forth. As Christian explains in just a second, the origin of blockchain is a little shrouded in mystery, and of all places started with a white paper. Most people say the first purchase with Bitcoin happened in 2010, when some guy bought a pizza for 10,000 Bitcoin. Suffice it to say, in today’s dollars, that’s a lot of money. Christian Auty: The author of the Bitcoin white paper was guy by the name of Satoshi Nakamoto, and nobody knows who Satoshi Nakamoto is. He did write a number of posts for a period of time on some fora. There is a suggestion that he may be a she. There is a suggestion that Satoshi Nakamoto is not one person, but is many people. A group of people. There are people that correspond with Satoshi regularly now. There was somebody by the name of Craig Wright. An Australian who claimed to be this person, but the answer is that nobody really knows, and perhaps more importantly, it’s easily provable for the person who is Satoshi Nakamoto to prove that they are Satoshi Nakamoto. Christian Auty: They can sign transactions from the original, the genesis block of Bitcoin, which only Satoshi would know the code to do, and that would definitively prove that they are the person or people that invented Bitcoin. Christian Auty: This person’s a billionaire I would imagine at this juncture. They obviously have a proclivity for privacy. The Bitcoin system allows them to be private, and that is one of the key advantages, I think, of a decentralized system is you don’t necessarily have to make yourself known. If you ask a government, the United States government or any other government, that’s a problem. Right, because we can’t track the flow of funds over this network if we don’t know who’s passing value to whom, but this is probably somebody who values their privacy, or a group that values their privacy and in my personal opinion, we should respect that, because when you first started mining Bitcoin in 2009, 2010, there was almost no computing power on the network and the rewards were astronomical. Christian Auty: To give you an idea of how many Bitcoin came out in those early days, somebody paid 10,000 for a pizza in 2011. That is a $70 million pizza, as we’re speaking right now. Bitcoin was cheap. It was almost free in the early days, and the early miners, by today’s standards, if they kept all their Bitcoin would be extravagantly wealthy. Chad Main: Wait what? Did he just talk about mining. What does mining have to do with Bitcoin? Zach Smolinski: Mining is essentially participating in the Bitcoin network in such a way that you’re verifying the existence of the transactions, and verifying to the network that, to the best of your knowledge, everything that you’re writing in this current block is accurate. The way this is done is by completing a bunch of arbitrarily difficult mathematical equations. What this is called is a proof of work system. If you throw enough computing power at the Bitcoin network, which computing power is used to A, show that you actually did these calculations, and then B, confirm that the transactions, in your view of the network actually exist and happen the way that you claim that they happen. The Bitcoin network rewards you by doling out Bitcoin. Christian Auty: All right, so think about the problem … one of the problems that Bitcoins solves is a double spend problem. How do you know if I give $100 to Alice, how do you know that I’m not going to give the same $100 on the network to Bob later on? The way you do that is by essentially time stamping transactions. That’s where the block in blockchain comes … There’s a block of transactions confirmed and published to the blockchain every 10 minutes roughly, and that’s by design. The algorithm makes it that way. Christian Auty: The real brilliance of this is it doesn’t select the timestamper at the outset. It selects the timestamper based on who mines or who solves the cryptographic problem. Mining is really an effort to solve that problem, as Zach talked about. The problem is a problem that can only be solved by rote computation, and it’s going to take about 10 minutes to do. The winner, the person who solves the problem, spent a lot of money on electricity, so has a stake in the accuracy of the system, and then gets to confirm the block and receive their reward, and their reward at present is 15 Bitcoin, which they’re then going to have to spend in order to pay for the electricity. What is the Benefit of Blockchain? Chad Main: Okay, now we know what blockchain is and how it works, but what exactly is the benefit of using it? As Zach explains, blockchain is powerful because it’s algorithm inherently verifies certain aspects of transactions that historically had to be approved and verified by third parties, like a bank. Zach Smolinski: The primary benefit of blockchain is, I saw it described recently as a censor free means of information and value transfer, in that, if you’re on a blockchain network, all you are trusting is in the code of the network, and so no third party player and no underlying, or overarching regulatory body can change what you decide to do on that network. As long as I’m willing to transmit my $100 to Christian, and he’s willing to take it, basically no one else can stop that from happening. That can be a pretty powerful tool for reasons that go into some … in some ways these go to the heart of why blockchain was originated and we can only guess at some of the underlying thoughts, but it came out of the financial collapse of the late 2000s. Zach Smolinski: Trust in third party intermediators was at an all time low, and so what is a better way to tackle that problem, then to adopt a so called trust free system. Really that idea that a third party entity, whether it’s a government, whether it’s a regulatory agency, whether it’s someone who you just don’t want to see what you’re doing. They can’t stop you from using it. Chad Main: According to some, if the robots don’t take over the legal profession, blockchain most certainly will put a bunch of lawyers out of work. While I agree that technology is and will continue to impact how lawyers practice law, in the end, as that one great saying goes, “It’s really hard to automate discretion.” Christian and Zach agree that blockchain isn’t going to put lawyers out of business. Zach Smolinski: It’s in the nature of human beings to have disputes that elude documentation. I mean the whole reason we have common law around contracts, and the whole reason we have all of these precedent and this judge made law is because people did not account for every foreseeability in their agreements, and their human and they get into disputes about what words mean and so no. None of that is going to be changed by the blockchain. Christian Auty: Yeah, I mean dispute about what words mean is not an area that lends itself to computation. Are AIs being developed that are going to be able to parse out words at a super high level of complexity? Yeah, but then I would also question, are we going to trust those AIs? Are we going to trust that they actually have “judgment” probably not, and if we are, we’re years away from that. Chad Main: As Zach and Christian alluded to, it is still very early in the lifecycle of blockchain technology, and it’s not something that most lawyers deal with on a day-to-day basis, however, it is out there, it is being used and so I asked Zach how exactly is it impacting the practice of law today? Christian Auty: Yeah, so what I do when I think about is, I divide it into two topics. I think one topic is blockchain in the law. That is, how are lawyers going to use blockchain technology over the next decade or so, and the other one is the law of blockchain. That is, how can attorneys use their understanding of the law to help people who want to work on the blockchain and want to launch business on the blockchain. Christian Auty: Of those two, the second one is definitely in our faces right now. I’m working with clients who are launching cryptocurrency funds. I’m working with clients who are developing solutions in the cryptocurrency space, and in the blockchain technology space. What you do there, if you’re a lawyer is you do what lawyers have always done. You separate hype from reality. You figure out what regulations apply to the goals of your clients, and then you do the work. Christian Auty: By the way, I have acquaintances and friends in the blockchain world who would jump down my throat for hinting that there’s such a thing as hybrid blockchain. In other words there are these firm believers, and I’m not quite one of them, but I understand where they’re coming from who will say this, and it’s impossible to over hype this technology. That is just how big it is. Christian Auty: Those questions slot pretty neatly into existing legal spaces. I think you’re going to have this gray area, as smart contracts become more prevalent, where you’re going to have a combination … You’re going to have teams build up of coders and lawyers, and lawyer who know how to code, and coders who know something about law. That’s happening. I know that there are attorneys out there right now, perhaps listening to this who are building smart contracts. Christian Auty: That kind of work is not going to land on the average attorney’s desk for years. Zach Smolinski: Yeah, and it’s a smart contract. What a smart contract is? It’s important to identify the terminology. A smart contract is a contract that executes entirely on a blockchain. That’s the idea anyway. It’s something that, Nick Zabo, who I alluded to earlier, distinguishes between a wet code and dry code. Dry code is what actually happens in the transaction on the blockchain and what code is all of the other stuff. Choice of law, jurisdiction, concepts of waiver and severability and amendment. Equitable ideas, equitable notions that can’t be coded for, or it would not be feasible to code then. Zach Smolinski: I think that we are going to see smart contracts develop and be used on a day-to-day basis very soon, and I think that in particular, the areas we outlined, but it’s going to be in areas where the quality of goods, if I may offer up a prediction, the quality of goods doesn’t matter. When I buy a stock, I don’t care how nice the paper is. I don’t care how it’s printed. I don’t care about any of this, I just care about the fact that I own the stock. That is the sort of transaction that is ripe for a smart contract that is right before a distributed application. Christian Auty: Yeah, there’s are definitely attorneys who are building smart contracts, using smart contracting coding tools. The most popular of which is a coding language called Solidity. Solidity. I’ll say that again. A tough word for me, but the average attorney is just not running into this stuff. I think what you’re seeing is something along the lines of what it is? William Gibson’s attributed quote? “The future’s here already, it’s just not widely distributed.” And so you’re seeing some attorneys who are definitely going to be working with this on a daily basis. Who are those attorneys who are working with it right now? They’re probably attorneys who are building blockchain platforms. Christian Auty: The two biggest words in technology right now are probably platform and blockchain. If you’re working on building a platform based on making transactions easier, you’re probably already working with the technology, and my guess is you’re not listening to this podcast. Chad Main: On one level, all this talk about smart contracts seems pretty theoretical and pie in the sky, but on another level, it’s not far fetched and for certain types of transactions, using blockchain makes a whole lot of sense. For instance, in the transfer and recording of deeds. Christian Auty: Broadly speaking, one of the ways that blockchain or distributed ledgers could be really valuable is in authentication. In identity management, who you are, or in the authentication of particular documents, and in this case we’d be talking about deeds. If you go to, for example … I don’t even know what … the assessor’s office, or the deed office, you could create a distributed ledger form with real stakeholders, the title companies, et cetera, and I think it would really drive efficiencies. There would not be the need to shuttling back and forth to the county office, or to the city office to procure this, that and the other. Christian Auty: It would be something that would be shared immutable, meaning it cannot be changed. You’ll hear a lot about immutability and censorship resistance when people are talking about blockchain and distributed ledgers. It is immutable. It is censorship resistant and it’s something that I think you could put deed on blockchain and it would work, and you can code the entirety of a particular deed or really any document using cryptographic hash functions onto a blockchain. For the folks that are imagining, “Well what would this look like? Would it be a PDF?” No, not necessarily you wouldn’t really need it to be, but I think more broadly, where we’re going to see blockchain is in supply chains and in other business use cases where you have multiple entities, multiple stakeholders doing business with each other and passing assets along in a continuum. Christian Auty: Shipping is a good example. I think pharmaceutical distribution. Distribution generally are all really ripe for the blockchain and then of course, payments, which was the original use case and still I think the best one. How Will Blockchain Change the way Lawyers Work? Chad Main: While both Christian and Zach agree that blockchain technology in and of itself won’t replace lawyers, they both had a little different take on whether or not it will revolutionize the way lawyers do their work. Christian Auty: Do I see the blockchain literally changing the way that law is practiced? I do not. I see it as something that is going to augment the practice of law and change the practice of law, but not revolutionize it or eliminate whole sectors. Zach Smolinski: Yeah, and yet I guess I would push a little bit on that point, and here’s what I would say. Right now, there are 100 or more attorneys in Chicago showing up at real estate closings with briefcases full of paper. This revolution is going to move in the direction of that paper being pre-loaded onto a blockchain, or whatever more efficient network replaces the blockchain in the future, and the closing happening with the push of a button, because everything has been pre-signed. The network has identified and confirmed the identity of all those players. The work of negotiating those terms I think is still going to be legitimate legal work, but at the same time, you’re just not going to have to be in the room together. Zach Smolinski: You’re going to need to know that you’re working with an attorney you can trust, but what I foresee is that that ability to trust the attorney is also going to be built on a blockchain network. You’re going to work with a five star rated attorney. Not on Avvo.com, not on Yelp, but on a verified blockchain network that can confirm that this attorney has successfully completed dozens and hundreds of these transactions. Maybe what you’ll see is a centralization of the function among only the very best attorneys who are the most efficient at running these things through. Maybe it’s what we’re seeing already. Chad Main: Without a crystal ball it’s very hard to figure out how ultimately all the changes in technology will impact how lawyers do their jobs. However, Zach closed out the interview with some great insight about how the practice of law itself is changing from a lawyer driven business, to a client driven business. Zach Smolinski: We’re seeing the practice of law change under our feet. I mean if you’re paying any attention, there’s lots of talk about this topic, but the lawyer is not seen as the expert that the lawyer once way, and the practice of law, sometime in the last 10 to 15 years has transferred from a lawyer driven industry to a client driven industry. What you’re seeing is good lawyers are aware of their clients risk appetite. They’re aware of their clients as people, and they’re aware of the goals, the business goals that their clients have and they know they have a good toolbox to bring to those discussions and they know how to achieve those goals quickly and with a relatively efficient use of the clients fund. Those skills are not going to go away. What is going to go away is the mechanical work around providing those skills, and by the way I’m all for losing that mechanical work. Chad Main: Well that’s it. We hope you enjoyed episode number two with Christian Auty and Zach Smolinski. If you want to get a hold of Christian, you can email him at cauty@muchshelist.com. That’s C-A-U-T-Y-@-M-U-C-H-S-H-E-L-I-S-T dot com, and Christian’s also launching a blog. Digital Lawyer. That’s digitallawyer.wordpress.com. Chad Main: If you want to get a hold of Zach, you can email him at zsmolinski@ziliack.com. That’s Z-S-M-O-L-I-N-S-K-I-@-Z-I-L-I-A-K.com, and Zach also runs a monthly blockchain discussion called Fin Tank. It meets in Chicago, the fourth Thursday of every month. You can get more information about on Eventbrite, or go to fintank.org. Chad Main: Until next time, thanks for listening. This is Technically Legal.